What kind of water filter are you going to need to prepare for your next outdoor excursion? This seems like a pretty straight forward question, right? Turns out, there’s a lot to consider when it comes to staying hydrated on the trails. To answer this question and find the best water filtration system to fit your hydration needs, you’ve come to the right place. Consider this the only guide you’ll ever need to understand what kind of filter will be most appropriate for your outdoor excursion; from the output capacity of the system to the kind of maintenance it entails (in and out of the field). The first step to finding the right water filter system for your outdoor quest starts with asking the right questions, and that’s what we’re here for. The following is the ultimate tailor to keep you and your trail mates happy and hydrated. Follow the headings to determine your water filter needs and which systems will most effectively support them. The Most Effective Water Filtration for YOUR Needs. Water Filter or Purifier – What’s the difference and which one do you need? Capacity: How much water do you need? Personal Use: The Best Water Filtration systems for 1-2 people. Lightweight water filters for personal use. Both water filters and purifiers are used to make any water potable on demand. The difference is what it is that is in the water that you’re trying to avoid. As romantic as the pure experience of drinking straight from the source is for the modern outdoors aficionado, the current reality is that our natural water systems have been contaminated by the poop of livestock and human traffic, which breeds microscopic protozoa that seeps into our natural water sources as a host of parasites and bacteria. 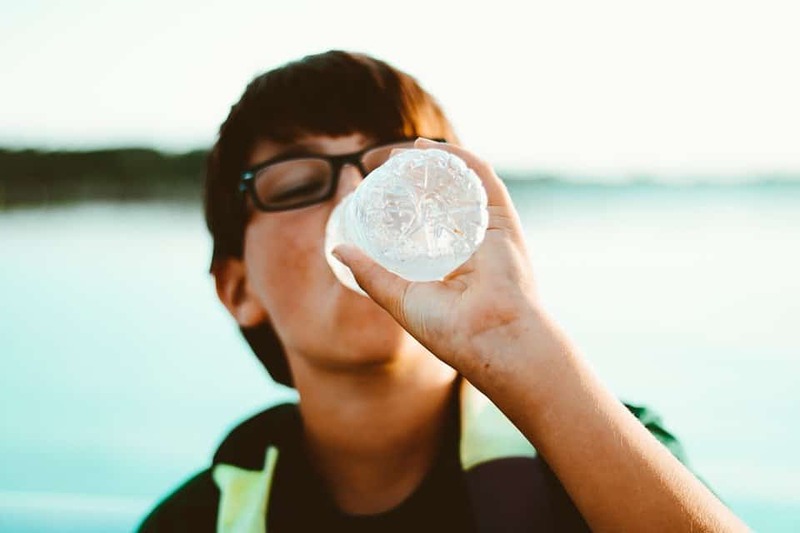 With Giardia, Cryptosporidium, dysentery, e.coli and salmonella being most commonly found in natural water systems, the CDC recommends that you ALWAYS treat your water from natural sources. Unless of course you actually are in pursuit of serious stomach cramping, diarrhea, and vomiting, in which case you can end your read here and take a cup straight to your local stream. Purifiers take it one step further than bacteria and parasite and are used to eliminate any potential viruses lurking in your water. Viruses are not commonly found in the waters of the United States or Canada, so they are not a requisite for domestic outdoor recreation and more advisable for international travel. How much water does each person actually require to stay hydrated? The recommended baseline to stay well hydrated in moderate temperatures is around .5 liters per hour of moderate activity. If you are going to be hiking in higher temperatures or under more strenuous conditions such as higher elevation, it would be advisable to bump the water intake up accordingly. Are you going to be stopping to re-fill water containers when available and/or planning on carrying water with you? Or are you going to be hiking next to a river where you can stop and sip when needed? Personal straws provide instant gratification, giving one the ability to drink (almost) straight from the source as if that pristine looking alpine lake is one big tropical cocktail that you can stick your straw right into. Straw filters are lightweight, easy to use and budget friendly. They are also a good back up to have, just in case. The Life Straw is a classic and lightweight water filtering tool at a mere 2 oz of added weight. If sticking a straw straight into the water isn’t possible, the Sawyer Mini is a great option. This system comes with a pouch to fill with water, which attaches to the filter you can drink straight through. This system also comes with an attachable straw to make it super versatile and includes a cleaning syringe for easy maintenance in the field if it becomes clogged after use. Filtered water bottles are great for a quick re-fill and carry, as the vessel itself doubles as a filter allowing you to fill and drink straight from the same bottle. 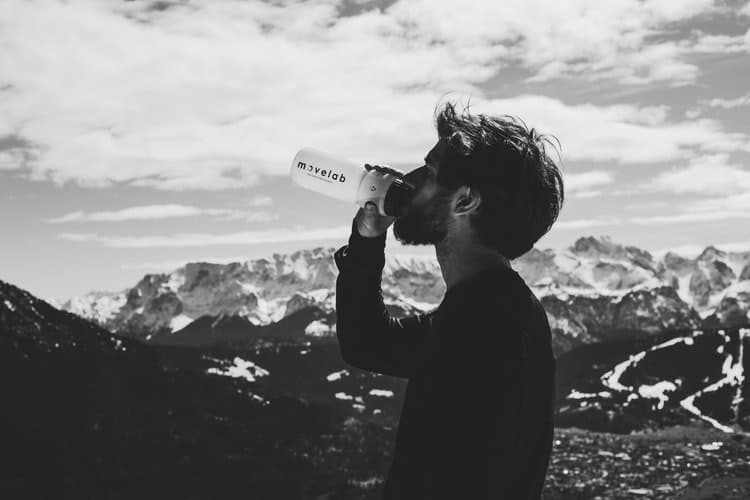 To learn more about which filtered water bottle will suit your needs, check out this review of the Top 3 best-filtered water bottles. Pump filers work by dropping a line into the source and using a pump to pull water through the filter where the base sits directly on the water bottle being filled. Pump filters are beneficial for shallow water with a pre-filter at the hose outlet to keep sediment from clogging the main filter. They typically filter between .5-1 Liter per minute, are easy to clean in the field and have the option for replaceable cartridges as recommended by the manufacturer. The Katadyn Vario water filter is a super functional option for this kind of system. It’s lightweight at 11 oz and easy to use with an AntiClog system for little maintenance. Another option is the Katadyn Hiker Pro Microfilter. You can also try Grayl Ultralight Water Purifier Bottle, being the most advanced purifier/filter bottle available. Gravity filters are the most effortless way to clean greater amounts of water at a time. This system includes a dromedary bag with a hose filter connected to it. You simply fill the bag with water, hang it on a branch or even a bike (or hold it up if nothing is available to hang it on) and let the force of gravity move the water through the filter. The MSR Trail Base is a brilliant 2 bag system. One bag is filled with dirty water (clearly labeled) that filters water into a clean bag (also labeled), which can be immediately used to store and carry the clean water going forward. While this comes in 2 liters and 4-liter capacity, the thing that sets this system apart from other small use gravity filters is the detachable Trail Shot hand pump filter, essential a hose filter to squeeze water straight from the source into your mouth (or other vessels). Another similar system is the Platypus GravityWorks Water Filtration System. The Platypus GravityWorks is the go-to 2 bag water filtration system. Each bag can hold 4 Liters, so the group can have one bag full of clean water with a dirty water reserve for continual filtering sans effort. The LifeStraw Mission is a one bag system for 5 or 12 liters. This filter works by filling the bag to hang and comes equipped with a filter that acts as an on/off valve at the end of the hose. This valve pumps at a rate of approximately 1 Liter every 7 minutes and has a lifespan of 18,000 liters. As mentioned, purifiers take the water cleansing process one step further than filters, removing not only bacteria and parasites but viruses as well. While viruses of not pose a threat in the natural water systems of the United States and Canada, they are easy to carry and serve as a great back up option if your filter of choice fails for some reason. While these are full range purifiers, they typically do no filter any debris or sediment that might be in the water, so best practice would be to pre-filter those before purification. Available in tablet or liquid form, these options can be relatively expensive but great to have a store of for back up or emergency use. As they can take anywhere from 15 minutes to 4 hours to fully purify, these are best used on an individual basis. The best chemical ingredient to keep on hand is chlorine dioxide, as it is almost tasteless and colorless. When using a chemical purifier Katadyn Micropur tablets or Aquamira Treatment drops are fail safe to have on hand as needed. While the filter is regulatory security against bacteria and parasites, using precautionary practices when possible is great for peace and mind and to optimize the effectiveness of the filter. Always read and familiarize yourself with the manufacturer’s instructions. Each filter has its own unique way of operation and cleaning, and it’s important to know how to avoid cross-contamination from back flowing or mis-assembly. Most manufacturers have detailed instruction videos on how to clean and maintain the system for best practice and longevity. Seek out clean flowing water (not stagnant) away from animal pastures. If sediment is unavoidable, try to let it settle before filtering or use pre-filter in the form of a bandana or t-shirt to mitigate debris clogging the filter. Beavers are well known to carry Giardia. While the filter will protect against it, best not to even expose yourself to the possibility in the first place. If at all avoidable, collect water from somewhere that is not a beaver pond. Clearly label and separate dirty and clean containers to avoid cross-contamination. If relying on backcountry sources for all water intake, it is advisable to drink at least a liter at the site of water collection. This will give the body a hydrating boost and enables you to either pack less going forward or stress less about the distance between the current source and the next. Per Leave No Trace Principles, keep camp, toilet, and kitchen no less than 200 ft away from water. Being able to enjoy the purity of the great outdoors is necessary medicine for our modern indoor way of life. Getting debilitatingly sick from the experience? Is definitely not fun though. The idea that you should always treat your water obtained from nature cannot be emphasized enough. Being prepared includes researching the reliability of water on the trail and packing according to the specific needs of you and your group.